A minor boy who along with seven others suffered burn injuries in a fire incident in the city’s Uttarkhan area on October 13 succumbed to his injuries at Dhaka Medical College Hospital (DMCH) on Saturday night, taking the death toll to six, UNB reports. The deceased was identified as Sagor, 12. 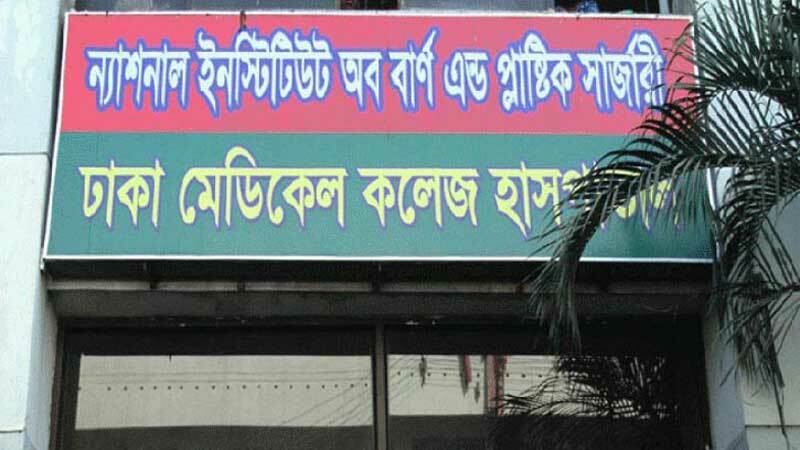 Sub-inspector Bacchu Mia, in-charge of DMCH police camp, said Sagor died at the burn unit of the hospital at night. The fire broke out at their ground-floor flat in a two-storey building around 4 am on October 13 following a leakage in the gas pipeline, leaving eight inmates injured. Most of the victims were garment workers and one of them was a rickshaw puller. The injured were taken to the DMCH where Azizul and his wife Muslima alias Urmi, Purnima, Sufia, Dablu Mollah died earlier.